Angelica offers J.R. a deal. 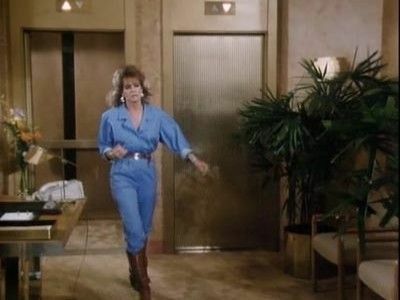 Sue Ellen worries over J.R.'s safety in his dealings with Angelica, a woman who's wanted for murder. Jack pulls out of the horse venture despite Clayton and Ray's disappointmeant. Tony calls Ray "dad" for the first time. J.R. sends Sue Ellen flowers and buys her a ring. Mark and Pam get married. J.R. tries to outmanoeuvre Angelica but tragedy strikes as Angelica plants bombs at Ewing Oil and in Jack's car. Meanwhile, Pam get a shock in the shower. Sue Ellen gets drunk at the Ewing victory party. Donna tells Ray about her pregnancy. J.R. reassures Mandy Winger that the problem with Sue Ellen will be resolved. Jenna can't wait to get married and Bobby is confused about who he should marry. Sue Ellen assures Clayton and Miss Ellie that she stopped drinking. Mitch and Lucy remarry. Cliff considers an annulment of his marriage to Jamie. Dusty reappears. Pam tells Bobby he has to marry Jenna. J.R. asks Sue Ellen to agree to end their marriage. Bobby proposes to Pam. Jamie surprises Cliff during their conversation about annulment. Then as Bobby leaves Pams house, a car drives straight towards Pamela, Bobby pushes Pam out of the way and the car hits him. The crashes and the driver is revealed to be Katherine Wentoworth who is dead. Bobby is rushed to hospital where he dies of massive internal injuries. The Ewing family learns of Mark Graison's death. Bobby and Jenna hold off their announcement. Jenna fears that Mark's death may bring Bobby and Pam together. Pam gets a letter from Mark which reveals the real cause of the plane crash. A phone call from Dusty raises the tensions between Clayton and Jessica. Clayton tells Ray and Donna the truth about Dusty and Jessica's diary. Pam and Bobby talk about their years together and the divorce. Pam learns about the letter which Katherine wrote and which led to Pam and Bobby's divorce. Pam has a showdown with Katherine. Miss Ellie and Jessica disappear and the Ewings fear Ellie is in serious trouble. J.R. wants to nominate Bobby as Oilman Of The Year. Mark Graison wants to fund a medical research center. Sue Ellen's mother Patricia arrives at Southfork and meets Clayton Farlow. J.R. harshly rejects Wendell's buyout offer. Jack confronts J.R. about the burglary in his apartment. 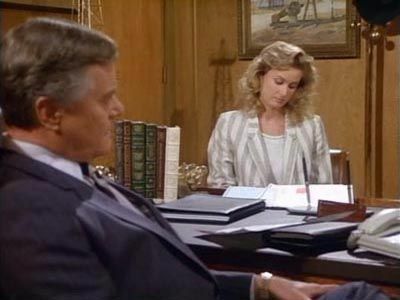 Patricia questions J.R. about his marriage to Sue Ellen . 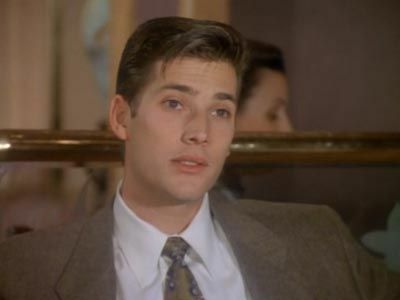 Mark acts as a go-between for Pam in her business dealings with J.R. and Wendell. Jack is interested in Jenna Wade. 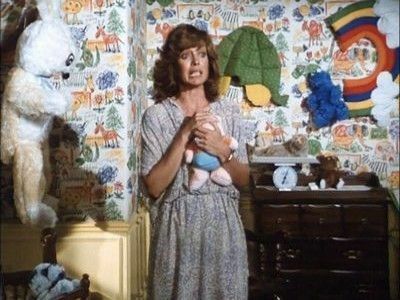 Sue Ellen's mother visits her at the sanitarium. Mandy Winger disappears. Patricia and Miss Ellie have a fight about J.R. and Sue Ellen. Pam makes a decision on Wendell's offer which gets J.R. depressed. Bobby meets Lisa Alden. Jenna and Ray get romantically involved. Nicholas Pearce wants April's business. Dandy talks Cliff into looking for oil. Pam leaves Bobby her power of attorney for her Wentworth Industries stock. Bobby goes on a date with Lisa. Ray comes to the Oil Barons Ball with Jenna. J.R. meets Nicholas Pearce. Ray proposes to Jenna. Clayton's heart condition causes more problems. Clayton moves out on Miss Ellie. Sue Ellen shows her "Valentine Lingerie" business to Pamela. J.R. confronts his mother about Clayton staying at a hotel. Jenna tells Charlie that she will not abort the baby.Jenna and Charlie get along fine again. Miss Ellie tells Ray that she's got to resolve the Parmalee problem. April plots to profit from ex-husband Jack. Mandy is offered a Hollywood contract. Ray invites Clayton to move into his house. The Environmental Protection Agency wants to shut down Cliff's 340 field. Pam shocks Jenna with an offer concerning Jenna's baby. Parmalee takes a lie-detector test and J.R. and Bobby are shocked by the results. J.R. tells Mandy that she will never be his wife. Jamie thinks she's got the solution to Cliff's environmental problem. Parmalee theatens to sell Ewing Oil to Jeremy Wendell. Cally feels she's not good enough for J.R. and she shares her concerns with Miss Ellie. April wants to put an end to her partnership with J.R. Michelle overhears a conversation between April and Bobby which concerns Cliff, and she tells Cliff about it. 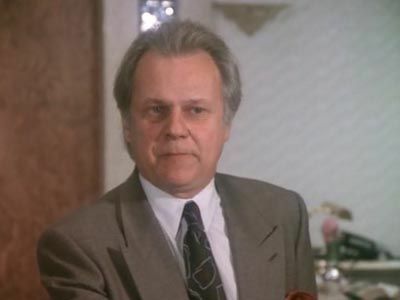 Cliff feels mistreated at Ewing Oil. Carter McKay's friend Rose Daniels returns but she is scared away by Tommy who acts to "protect" his father. John Ross goes to England to visit his mother. Miss Ellie and Clayton tell Bobby that they like April. Cally senses that Alex Barton's interest goes beyound just her paintings. 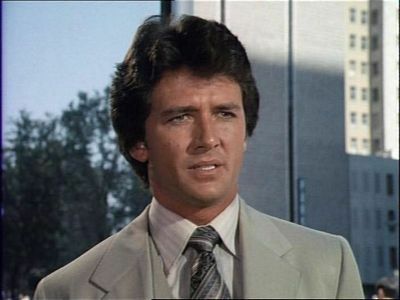 Carter McKay gets a warning about Tommy's psychological problems in his role as "father protector" Tommy plants a bomb in Bobby's briefcase and April and Bobby narrowly escape death. Bobby, Ray, and Miss Ellie sell their Ewing Oil holdings to J.R. Pam returns her 25 percent of Barnes/Wentworth to Cliff. April enjoys her new wealth and buys a restaurant. Ray shows pictures of Margaret to Jenna and Charlie. 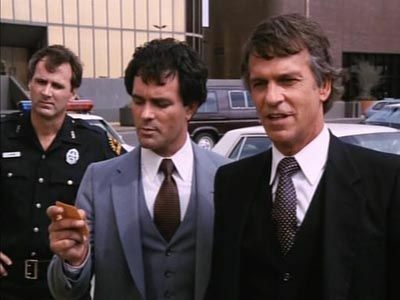 Wendell gives the Justice Department data on Ewing Oil and B.D. Calhoun. Sue Ellen uses Mandy Winger to test J.R.'s fidelity. 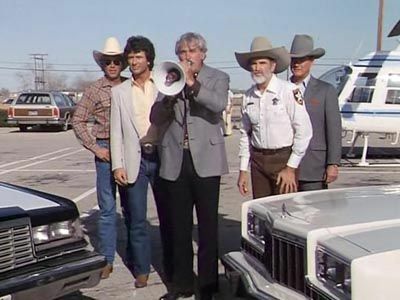 Cliff makes a scene at Ewing Oil. 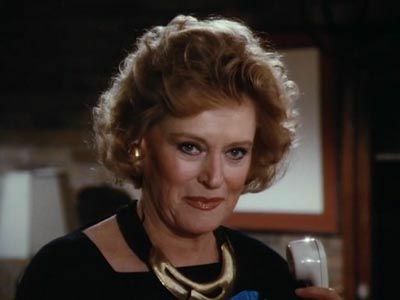 Phyllis breaks down upon hearing the news that Ewing Oil is being dissolved. Just as Miss Ellie gets her hopes up for the family's future, she gets terrible news from Washington. 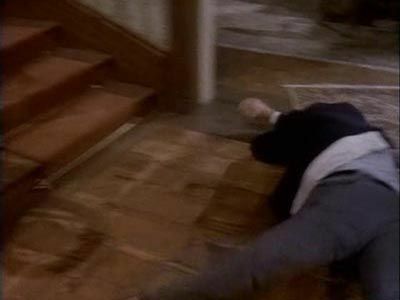 Clayton has a violent confrontation with J.R. and is knocked unconscious. Vanessa reassures J.R. that James is really his son. James' appearence puts a strain on Cally and J.R.'s marriage. Cally accuses Vanessa of plotting to take J.R. away from her. A tanker collision involving Ewing Oil and Weststar puts the two companies on opposite sides again, as a black tide of oil is heading toward the Texas coast. Tension rises between J.R. and Bobby when Bobby finds out about the Ewing tanker. 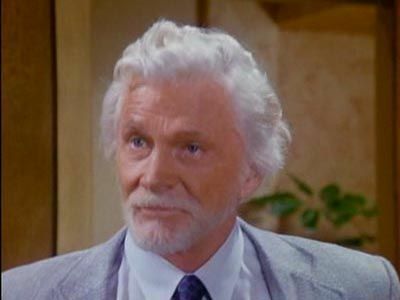 Cliff leaves Ewing Oil, takes McKay's side, and forms a committee to investigate the tanker disaster. Michelle threatens J.R. because in her view, he didn't keep his word after she got Cliff out of Ewing Oil. Vanessa unsuccessfully tries to talk James into going to Europe with her. Vanessa leaves for Europe and James moves into Southfork. Clayton wants to sell his refineries to Bobby. 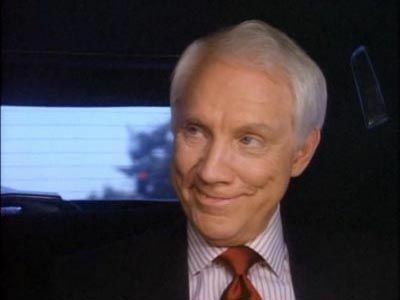 John Ross questions his mother about why she shot J.R. J.R. fires Harry McSween and moves back to Southfork to gain an advantage in his fight for permanent custody over John Ross. Tammy Miller reappears in Bobby's life. Sue Ellen buys a new house and moves in with John Ross. Miss Ellie and Clayton socialize with Carter McKay. Cliff decides to get out of the oil business. John Ross gets beaten up by kids at school because of his mother shooting J.R. Mitch comes to Southfork and asks Lucy to come back home. April tells Bobby that Cliff lied about seeing Pam. A drunk Bobby appears at Tammy's place. Mitch's job puts a strain on his marriage to Lucy. Sue Ellen decides to let John Ross live at Southfork but she vows to eventually even the score with J.R.
#13 - Who Done It? Sue Ellen's fingerprints are identified on the gun that was used to shoot J.R. and she is arrested. Feeling abandoned by the family, her bail is posted by an unknown source and she seeks solace from Kristin. Bobby continues to find obstacles to him doing business. Dr Ellby puts Sue Ellen under hypnosis to try and remember what happened the night J.R. was shot. What she remembers solves the mystery of "Who Shot J.R."
J.R. wants to buy off B.D. Calhoun to prevent his revenge. Bobby and Pam discuss her being overprotective of Christopher. Donna decides to leave Southfork. Jeremy Wendell wants April Stevens on his side. Bobby and Jenna discuss the baby. Clayton pursuses the issue of Parmalee's lie detector test. Calhoun terrorizes J.R. April get an apartment from J.R. Ray wants to know where Donna will live after the baby is born. Pam and Cliff have more disagreements over business. Ray wants to make sure he will be seeing his baby. Ellie gets impatient with Clayton over his obsession with Parmalee. Calhoun makes contact with an unsuspecting Sue Ellen. Pam is taken to the hospital with third-degree burns and serious injuries from the car crash. J.R. embarks on building a new company-- J.R.E. Industries. Doctors tell Bobby that Pam will most probably live. 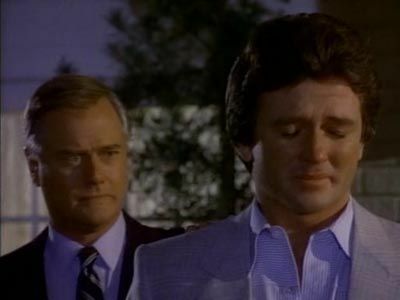 Cliff feels guilty about letting Digger down regarding J.R. and Ewing Oil. Jenna nurtures her new baby boy. J.R. and Sue Ellen get close. April offers Cliff her help in coping after the loss of Ewing Oil. April meets Wilson Cryer, Jeremy Wendell's executive assistant. Bobby must face Christopher and explain about Pam. J.R. consoles Bobby. 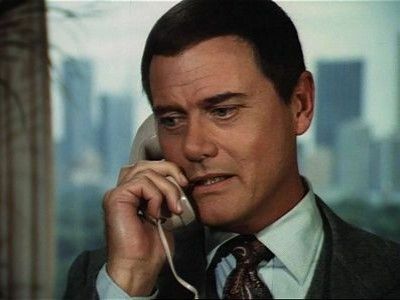 J.R. suspects Cliff Barnes in the shooting of Bobby and he pressures the police to find answers fast. Vaughn Leland tries to patronize Cliff but he threatens to file a complaint against Vaughn about unfair banking. Pam questions Cliff about his marrying Afton. Bobby asks Ray and Donna to check the office phones for bugs. Bobby tells Jenna they can't get married until he regains his sight. Sue Ellen is touched by J.R.'s brotherly loyalty during Bobby's incapacitation. Cliff and Sly have an honest exchange about J.R.'s setup. Bobby fears J.R. will take advantage of his absence at Ewing Oil and he asks Donna to watch over things for him at the office. J.R. asks Sue Ellen whether it was her who tried to kill him. 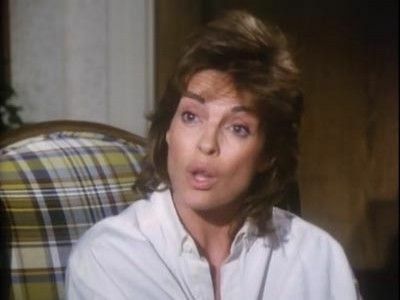 Sue Ellen reveals to J.R. that there was no "affair" with Peter Richards. Pam tells Bobby about Katherine's devious trick in writing the letter which led to their divorce. Donna and J.R. draw their battle lines, as do Pamela and Jenna. Cliff celebrates his offshore strike with Jordan Lee. J.R.'s Asian fields mature and the bank loans are paid off, but there's danger on the horizon. Sue Ellen is lost in an alcoholic haze. Pam is confused and needs to find out about her past. Kristin reaches the end of her tether and contacts Alan Beam. Whilst Pam, Bobby, Jock and Ellie go to see Amanda, J.R. makes a bold, dangerous move to protect his assets. 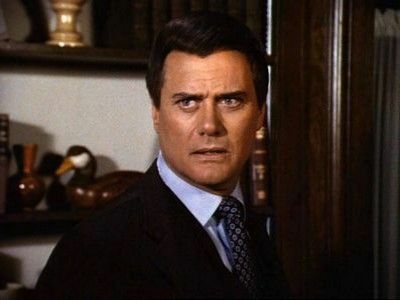 J.R. encourages Bobby to take a break from Ewing business, considering the divorce he's going through. Sue Ellen is happy to see John Ross having fun at the camp, and chats with Peter Richards. J.R. sabotages the Canadian drilling operation. Donna meets up with a former legal acquaintance. Ray and Aunt Lil wonder how to keep Mickey from getting depressed. Afton, Cliff and Mark take Pamela for a night out but Bobby and J.R. are there, with company. Mickey tells Lucy she shouldn't come to the hospital so often. Ray continues to feel guilty over what happened to Mickey. Afton is still very suspicious of Katherine's intentions. She thinks Katherine is after Bobby. Mickey tells Ray that he's rather die than live on a life-support system. Katherine discourages Bobby from going to the court hearing, where Pamela and Bobby are officially get divorced. It's wedding day for J.R. and Cally as a tornado is announced in the Southfork area. Sue Ellen takes Don Lockwood on a "field trip" to Southfork. Carter McKay wants Tommy to work at Weststar. Bobby is glad that J.R. kept his promise to Cally. Cliff opens a piece of mail for J.R. and a fight erupts between J.R., Cliff and Bobby. J.R. meets Don Lockwood. J.R. warns Sue Ellen to stay away from Cally. Lucy warns Tracey against being involved with Bobby. Tommy makes a pass at April and then goes into a rage when she turns him down. Cliff asks Don Lockwood about him and Sue Ellen. Cally tells J.R. that she and Sue Ellen plotted to trick him into the marriage. Jock is set up by a hoaxer, Bobby thinks Cliff may have taken John Ross, and hunts him down. 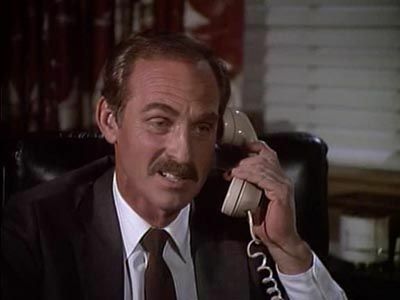 J.R gets a call from Ames and Garr claiming they have the child and demand a ransom. Pamela, Bobby and Cliff work together to find the baby, leading them to a bereaved mother. The Parmalee mystery is resolved and things get back to normal at Ewing Oil but not between Clayton and Miss Ellie. Clayton goes on a manhunt to find Parmalee. April intends to prove fraudulent intent in Jack's sale of 10 percent of Ewing Oil. J.R. learns frightening news about B.D. Calhoun. Donna comes to a decision about her marriage. Wendell vows to put the Ewings out of business and asks Cliff to use Pam to achieve it. Jenna and Donna discuss Ray. Christopher and John Ross don't get along. B.D.Calhoun threatens J.R.
James splits with Michelle in order to be with Deborah Lynn and their son, Jimmy. John Ross heads to Europe with Clayton, leaving J.R. on his own. Cliff finds a way to snake himself back into Ewing Oil. Hillary Taylor makes peace with Jory and faces Bobby. Michelle goes to Southfork with a gun to shoot J.R. but finds Hilary instead.